Millions of active job seekers in the U.S. struggle to find positions that offer thriving wages and a career path. At Workday Opportunity Onramps yesterday, our inaugural workforce development conference, participants gathered to share ideas and solutions to this serious problem. Throughout the day, participants discussed the need to fix hiring practices so that companies can better identify people with the potential to be great employees, even if they don’t fit the typical mold. That includes individuals who lack a four-year college degree or degree from a top-tier university, those who’ve gained needed skills in nontraditional ways, and those who have nontraditional career histories due to military service, incarceration, or breaks from the working world to take care of family members. At the same time, millions of jobs go unfilled across the U.S., with many organizations saying they face skills gaps. Participants discussed how potentially good hires are often bypassed due to weaknesses in how organizations screen resumes, manager and organizational biases toward hiring people who haven’t taken traditional career paths, and lack of training, mentoring, and reskilling opportunities for front-line workers. Conference participants also announced new initiatives. Yesterday morning, Walmart and Google announced a joint $5 million fund that will support three organizations testing solutions in reskilling the American workforce and matching skills to roles: the Drucker Institute, Opportunity@Work, and the MIT Initiative on the Digital Economy. In addition, Workday and Opportunity@Work are collaborating with LinkedIn, Okta, PwC, Salesforce.org, Symantec, and Walmart to launch the Opportunity Onramps community. As community members, these companies will help connect their employees to workforce development volunteer opportunities, such as providing mock interviews, resume reviews, job shadowing, mentoring, and more. In “The Talent Perspective” session, panelists discussed their successful career transitions. Individuals are encouraged to get involved by signing the pledge to volunteer 50 hours over the next three years to help job seekers with diverse backgrounds achieve their goals, and enlist five peers to do the same. 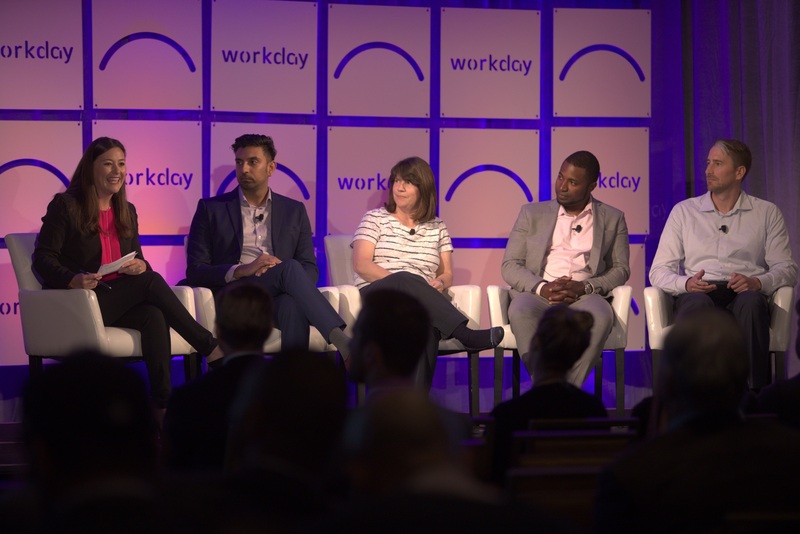 To support the effort to empower employees to help close the opportunity gap, Workday made available the Workforce Week online toolkit, which provides free workforce development training resources, including draft agendas, communications, and more. Many of the resources are based on Workday’s own learnings from its annual Workforce Week, started in 2015. During Workday’s Workforce Week employees and managers work with youths and adults, providing training, mentoring, and mock interviews through partnerships with organizations such as JobTrain, Stride Center, Upwardly Global, and Year Up. In the coming days, we’ll report on more from the conference, including best practices shared by workforce development leaders from a variety of companies on how to get your organization more engaged in developing onramps to opportunities. Stay tuned!